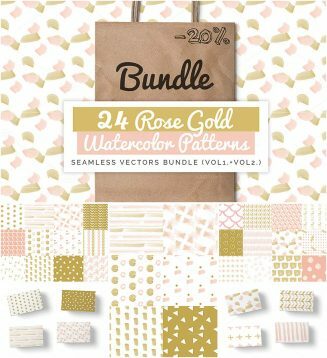 Set of 24 beautiful Patterns with rose gold colors. Perfect for wedding invitations, greeting gards, christmas cards,fashion projects, websites and so much more! File format: .jpg, .ai, .eps for Photoshop or other software. 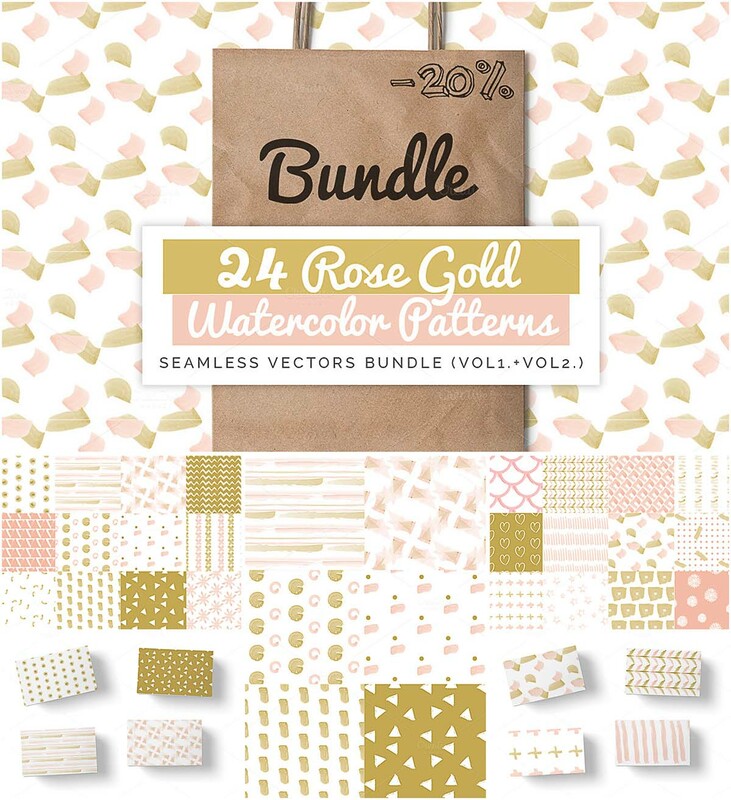 Tags: geometric pattern, gold, hand drawn, pattern, rose, watercolor.